The world's fairs of the 19th century were an outgrowth of tremendous changes in society, such as the rise of factories and the growth of the railroads. These changes created a growing middle class with the time and resources for visiting exhibitions, which were the 19th century equivalent of Disney World. These fairs included large glass exhibits, and a study of those exhibits allows one to see a progression of styles. 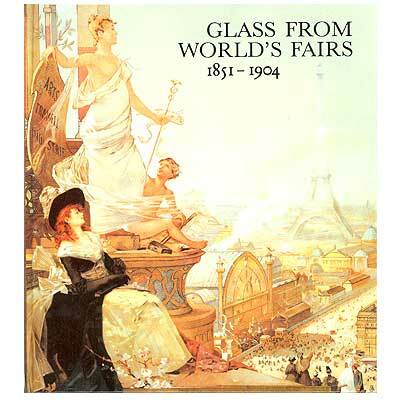 This generously illustrated book studies glass exhibits at 11 of the largest fairs, from the London fair of 1851 to the St. Louis fair of 1904. Measures approx. 9.25 inches H. x 8.5 inches W.
Published in 1986 by The Corning Museum of Glass.